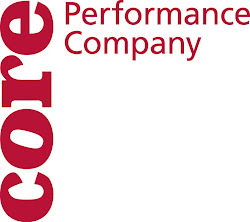 CORE Performance Company: Diagonals, Grids, and 9-points- OH MY! Diagonals, Grids, and 9-points- OH MY! This week the dancers are back in the studio with Artistic Director Sue Schroeder and Guest Collaborator Amanda K. Miller-Fasshauer to revisit their process of "a world too wide" As per usual with this work, the dancers are whisked away well beyond their comfort zone, abandoning old habits and inhabiting a new type of body intelligence. Although many of us left the workday not knowing whether to laugh or cry, one thing was certain: we are evolving as movers and performers and will present something that Atlanta has never seen from CORE. "a world too wide" incorporates a variety of elements to construct a new reality, a new world in which the dancers traverse grids, follow diagonals, and work through a system of "9-points" to develop a uniquely expressive vocabulary of movement. Although the show is a few months away, the work requires a great amount of concentration for it to be authentic. CPC's newest company member, Kristin D'Addario, has jumped right into the process, utilizing her strong ballet technique and professional experience to become part of this world! Catch her and the rest of Core Performance Comapny in "a world too wide" on March 7, 2015 at the Rialto Center for the Arts. Also follow us on social media and coredance.org for more information about our other performances in Atlanta and Houston. Thanks for good article https://bathroomexhaustfanswithlight.com/ keep doing good work like this. Have a good day! Have a good day! Thanks for good work https://aadharcardstatusdownload.com/ keep doing good work like this. I believe that the work requires a great amount of concentration for it to be authentic, and want to assure you that we can cope with this!